We are an established family friendly dental practice that has been offering NHS and Private dental care in Aberdeen since October 2012. We are committed to providing you with a high standard of professional care using modern dental equipment and techniques in a friendly and relaxed atmosphere. 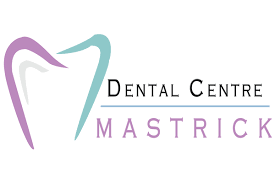 Mastrick Dental Centre provides the full range of dental treatment under NHS and also affordable Private dental care. We also offer hygienist appointments. We currently accept New NHS patients! All our NHS patients receive a free examination under the NHS. Our dentists will carry out a thorough clinical examination of your teeth and gums in order to diagnose any decays, cavities or the presence of gum disease. They will also carry out a soft tissues examination of your mouth to ensure that we detect oral cancer at an early stage and refer you to the appropriate specialist for further investigation without any delay. Should you require any dental treatment such as fillings, crowns, root canal treatments, dentures, bridges, veneers etc. the dentist will explain to you what is needed and will give you different options and the associated cost. In dentistry every different option has advantages and disadvantages and also every case is different. However, our dentists will explain to you the options with their pros and cons and will make a decision with you as to how you want to proceed. Once you have agreed with the dentist on the treatment plan, then a printed estimate will be given to you with the costs involved. Please ask for an estimate if we do not give you one. Also, we will inform you if for any reason the treatment plan has to be amended and therefore the cost will be different. If you do not require any further treatment, your dentist will recommend when you should next come in for a check-up. It is commonly recommended that you have a dental check-up every six months although all patients vary, with some requiring more frequent check-ups and some not needing them so often. You should follow your dentist’s recommendation to ensure your teeth stay healthy. If you are unsure if you need to pay for treatment, please talk to the practice team, and bring any relevant documentation with you to your first appointment. If you need to be seen urgently please phone the surgery for advice. If treatment is essential, we will do our best to arrange it within 24 hours. For emergencies out of hours please call NHS 24 on 111. Laura joined our practice at Mastrick Dental Centre in 2015 initially working as a dental nurse until she got promoted to her current role. As the Practice Manager, Laura is responsible for the day-to-day running of the practice and always strives to make sure that all our patients receive high quality dental services. She enjoys socialising with friends and family. Qualified in 2008 from the University of Athens (DDS). Since then she worked for over 4 years in private general and specialist dental practices in Athens, Greece until October 2012 when she joined our team at Mastrick Dental Centre. She has a special interest in cosmetic dentistry and endodontics. Angelina also enjoys general dentistry. Qualified in 2016 from the University of Athens (DDS). Since then he worked as a general dentist for the Greek Army in Athens, Greece until he moved to Aberdeen joining our team at Mastrick Dental Centre. Vasilis has a special interest in prosthodontics. Since then she worked as a dentist in a private general dental practice in Athens, Greece until she moved to Aberdeen joining our team at Mastrick Dental Centre. Georgia has a special interest in cosmetic dentistry. Since then he worked as a general dentist in a dental practice in Greece until he moved to Aberdeen joining our team at Mastrick Dental Centre. Bill enjoys all aspects general dentistry. Antonios qualified in 2017 from the UMF "Grigore T Popa" in Romania, dentistry is Antonios's his second degree following his first degree in Chemistry in 2011. After qualifiying as a dentist Antonios then went on to work in the Hospital, followed by the Army and finally in a private clinic in Athens, Greece before he moved to Aberdeen joining our team at Mastrick Dental Centre. Antonios has a keen interest in all aspects of general dentistry.